It is against all common conception and conventions to store Muscat wines, as the hallmarks of the variety are fruitiness, freshness and elegance. Only the excellent examples from the most skilled producers and the best terroirs will gain in quality with cellaring. Jean-Louis and Fabienne Mann maintains a low profile with a simple tasting romm (a hut) in a residential area in the north of Eguisheim. Here bone dry wines with racy acidity, finesse and purity are made. A virtually unknown producer that deserves much more attention. 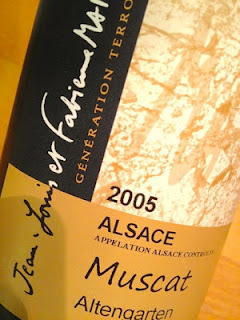 2005 Muscat Altengarten by Jean-Louis et Fabienne Mann in Eguisheim is light straw yellow. 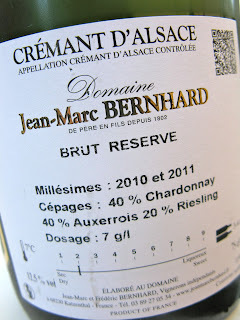 The aroma is spicy and complex with hints of wet earth, white pepper and candied lemon. 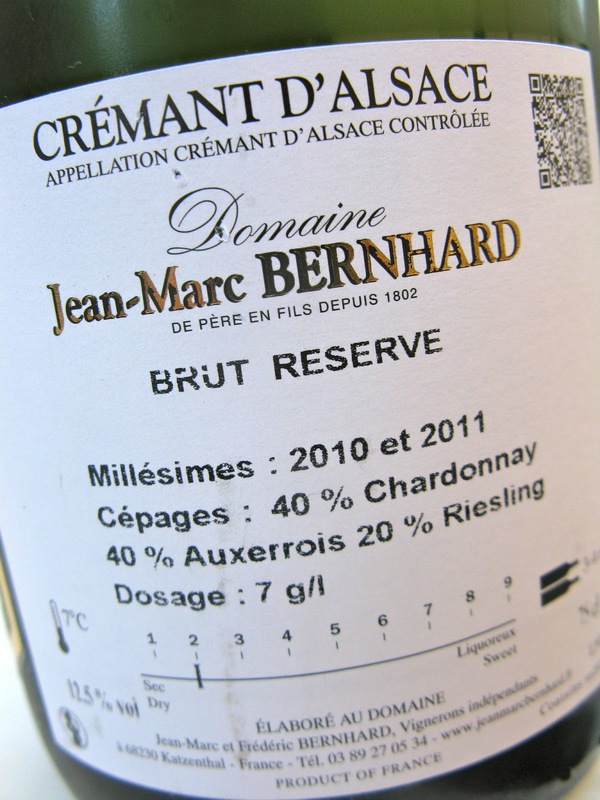 The taste offers high but ripe acidity, silky fruit and a long finish with lovely salinity. At its' peak after 8 years! Price: € 12.